Monitoring deformations and movements of structures is an essential tool for asset management and condition monitoring. 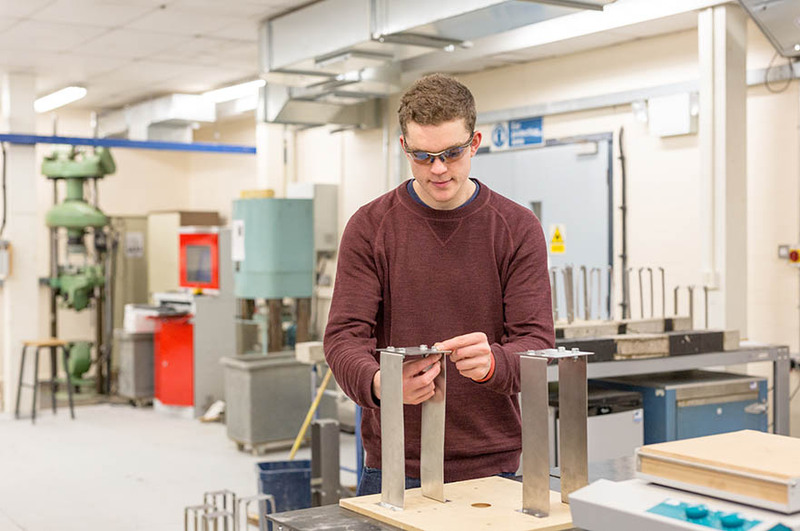 NTU's civil engineering students use mechanical and electronic devices to collect response measurements, including strains and displacements of laboratory structures. Displacements and deformations are measured using contact sensors such as strain gauges and mechanical dial indicators. Technical support is required to install these measurement devices. There is often the need for manual note-taking during the experiment, which can provide unreliable measurements. Through Dr Rolands Kromanis’s research in technological applications to understand behaviour of structures, he has developed a low cost vision-based deformation monitoring system – called Deformonit. Deformonit replaces this antiquated measurement collection apparatus with a vision-based, contactless technology solution that uses mobile phone camera technology. There are software solutions currently on the market that perform in the same way as DeForMonit but these operate using specialised high-resolution cameras and software licences that can cost in excess of £20,000 a year. Dr Kromanis has conducted extensive research to find a more cost-effective and accessible solution. Smartphones have become the hub of our daily lives with the majority of university students owning or having access to one. The camera function on a smartphone can be used to capture images (stream video) of a test-bed subjected to loading and identify the changes in the structures’ response. The camera is used to monitor specific markers on a structure. From the images, information can be extracted which relates to the changes of the structure such as deformations and crack propagation (in concrete structures). It provides accurate measurements of vertical displacements and strains in laboratory structures. Students use their phone cameras to capture deformations and then use an app to extract deformations and cracks from captured images/streamed videos. Dr Rolands Kromanis is leading the ‘Vision-based Structural Health Monitoring’ research group. He is a research active lecturer in the Department of Civil Engineering, School of ADBE. He received PhD in Civil Engineering from the University of Exeter, UK in 2015. He is a module leader of both undergraduate and postgraduate courses. He has introduced and now leads a master’s module “Condition Assessment and Health Monitoring of Civil Infrastructure” in MSc in Structural Engineering program. Dr Kromanis supervises undergraduate and postgraduate research projects and is also a director of PhD studies. His research interests include structural health monitoring, system identification and machine vision. He is developing approaches for low-cost vision-based systems for condition assessment of structures. Dr Kromanis has developed an image processing application DeforMonit that can be used to analyze deformations of/in structures by analyzing images (or video) that are captured when a structure has been subjected to loading. He has published in computer science and engineering journals. He has presented in many conferences and given talks at EPFL | École polytechnique fédérale de Lausanne (Switzerland), Princeton University (USA) and Queen’s University Belfast (UK). He is also a reviewer in a number of journals and a visiting scholar at Tsinghua University. Dr Kromanis has received several internal and external grants to promote his research, provide opportunities and data to new researchers and work on groundbreaking research in the field of computational applications in structural engineering. 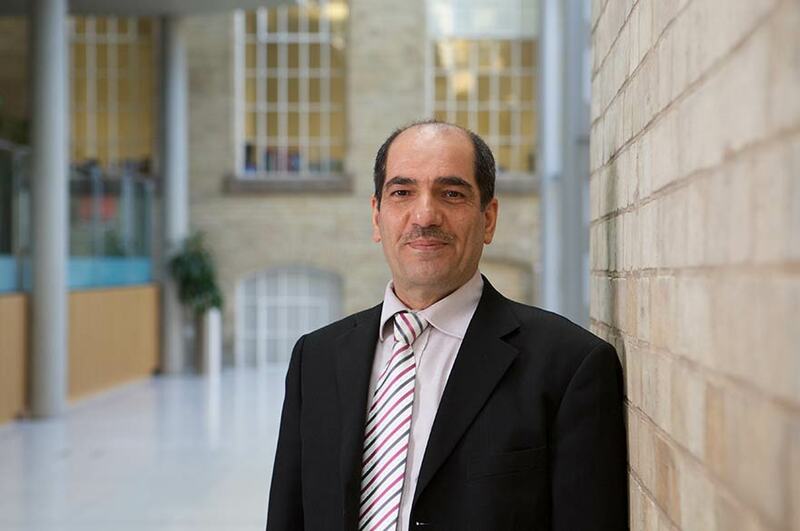 Dr Mohammad teaches structural analysis for all levels of the undergraduate Civil Engineering Programme, and structural appraisal and defects diagnosis of buildings for the BSc Building Surveying programme. He teaches structural analysis at advanced level for the postgraduate Civil Engineering Programme, and supervises the research work of BSc, MSc and PhD Civil Engineering students. Dr Mohammad’s main research areas are; Design optimisation of structural systems in terms of minimum weight, minimum cost and minimum embodied energy, Finite element analysis of solid mechanics, soil-structure interaction problems, railway truck systems and various forms of framed structures, Non-destructive testing methods using experimental modal analysis which has wide application and important application of structural health monitoring of bridges and conventional and historical buildings, Sustainable construction materials, mainly working on sustainable concrete by adding recycled materials such as printer toner. 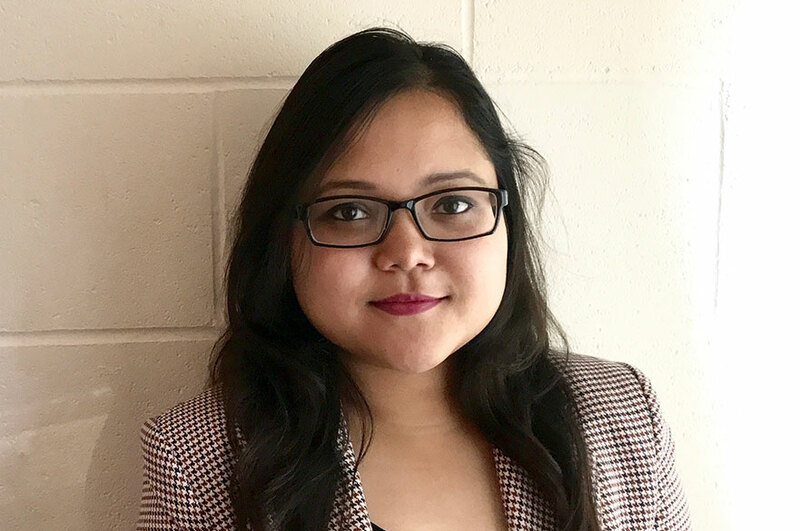 Sushmita Borah joined NTU in January 2019 as a PhD candidate in School of Architecture, Design and Built Environment (ADBE) under the supervision of Dr Roland Kromanis, Dr Anton Ianakiev and Dr Bahareh Kaveh. Her research focus is vision based structural health monitoring of Civil Structures. She is also working as an Hourly Paid Lecturer in ADBE. Sushmita received B.E. in Civil Engineering from Assam Engineering College, India in 2015. She then worked as Site Engineer in National Highways Authority of India (NHAI) for a year before joining University of Reading, UK to pursue MSc in Construction Management. She re-joined NHAI for a year before joining NTU. She won several awards and scholarship for her academic excellence including Felix Scholarship for Masters and NTU’s Vice Chancellor’s Studentship for PhD. Brendan received his BEng in Civil Engineering from Madonna University Nigeria. He then worked as a design engineer for a year, after which he proceeded to obtain his MSc in Civil & Structural Engineering from Coventry University. 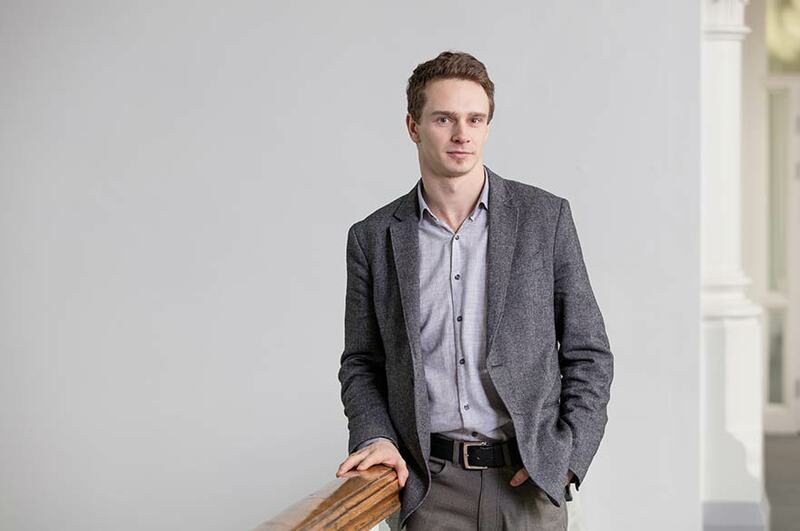 Brendan joined the Department of Civil Engineering at NTU, School of ADBE, in October 2017 as a PhD candidate under the supervision of Dr Rolands Kromanis and Dr Fouad Mohammad. His research focuses on vision-based structural health monitoring, where he is developing several methodologies that can be used by bridge inspectors and engineers to detect damage from structural response, and assess conditions of bridges. Chris Forbes works as a Technical Specialist in Computational Imaging in the Nottingham Trent University School of Architecture, Design, and the Built Environment. With a background in computer science, Chris now has two decades of experience in teaching 3D CAD/CAM and design visualisation within the School. He is also a published 3D artist and conducts commercial training and development projects regularly. 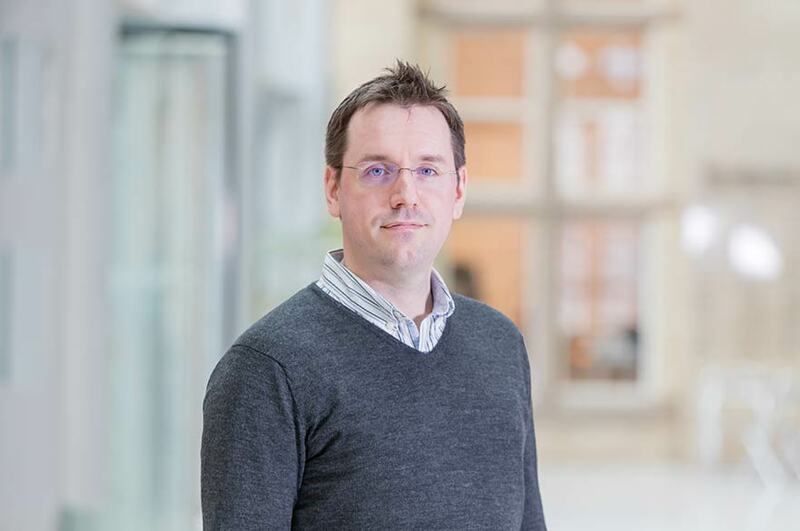 Chris is interested in all elements of the development of computational imaging including the areas of computer vision, virtual/augmented reality, photo realistic visualisation, machine learning, and artificial intelligence. His most recent research has been to study the upper limits of human visual acuity and how this can impact on the design of high performance vision systems. 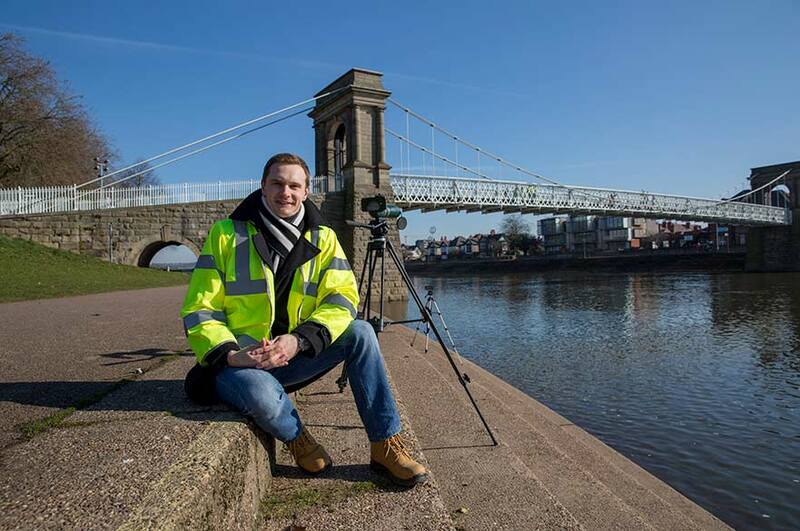 Tom Stroud is currently studying for his MEng in Civil Engineering Design and Construction. He undertook a placement year working with Morgan Sindall at Heathrow airport constructing a new fully automated premium cargo warehouse facility. Currently Tom is working on his final year project, investigating if video image analysis is a feasible technique for monitoring deformations in/of railway bridges. Through Dr Rolands Kromanis’s research in technological applications to understand behaviour of structures, he has developed a low cost vision-based deformation monitoring system – called DeForMonit. DeForMonit replaces this antiquated measurement collection apparatus with a vision-based, contactless technology solution that uses mobile phone camera technology. Find out more. When considering smartphones as a part of a monitoring system the greatest challenge is making sense of the data. As an industry, we need image-processing tools that are easily accessible and compatible across multiple devices. 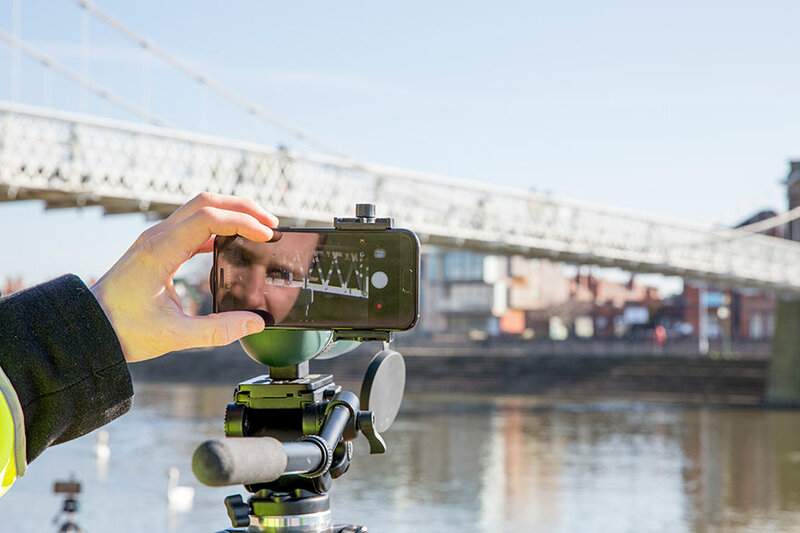 Through the latest developments in smartphone technology, we are able to capture high quality images and video to assess the structural performance of bridges. The installation of cameras not only saves the engineering industry time and money, but also significantly reduces the risk of working at height, and traffic disruption caused by road closures. When considering smartphones as a part of a monitoring system the greatest challenge is making sense of the data. We need image-processing tools that are easily accessible and compatible across multiple devices. The aim of this project is to investigate if smartphone technologies can be utilised to determine an accurate estimation of deformations in heritage structures, specifically bridges. A conventional sensor system consist of contact sensors. Installation of such systems involve risks related to the access of sensor locations involving work at heights. These are significantly minimised when employing non-intrusive vision-based technologies such as smartphone cameras to assess heritage structures and monitor deformations. On September 3, 2018, Dr. Rolands of Nottingham Trent University visited the Department of Civil Engineering, Tsinghua University. Dr Kromanis gave a presentation titled "Characterizing and interpreting thermal response of bridges & Measuring structural deations using smartphones". Professors Xiaodong Ji, Zhang chonghou, Zhao zuozhou and postgraduates of the Department of Civil Engineering of Tsinghua University participated in this presentation and discussed the related contents with Dr. Rolands. Find out more and this visit here, and here. DeforMonit can be used to replace conventional displacement sensors/strain gauges, reduce workload of technicians, promote collaborative work between students, capture deformations of the entire laboratory test-bed and has potential real-life applications to full-scale structures. The technology is simple, low-cost and provides indicative and time accurate information about structural response. It is currently used to support teaching on MSc Structural Engineering and Materials and student projects.